ENT specialists probably see more patients with problems of the nose and sinuses than any other area of the head and neck. Typical symptoms related to this area include allergies, nasal obstruction, mucous drainage, headaches and post-nasal drip. Millions of people struggle with sinuses and allergies every year. Take our sinus quiz to find out if you are one of the many people struggling with a Sinus Condition. Our staff is committed to finding the problem and developing a long term solution. A typical first visit will include a review of prior and associated problems. A comprehensive examination of the nose and sinuses will lead to a diagnosis and treatment plan. Most patients initially will be treated with medications, and may also require evaluation with CT scans. 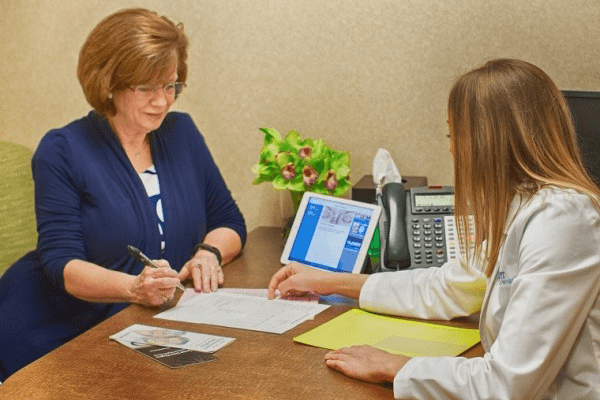 During follow-up visits, your doctor will evaluate you for treatment response and may modify medicines or evaluate you for surgical therapy.